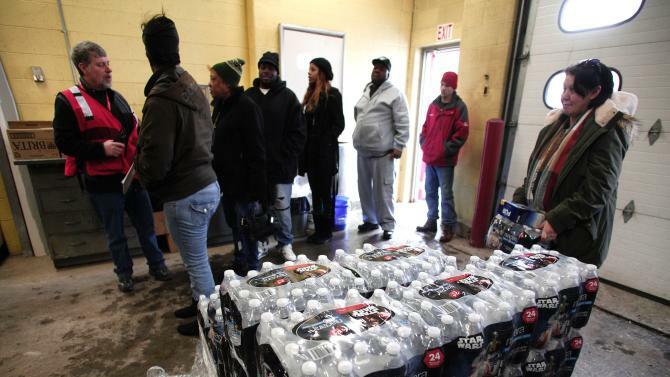 Poisoned Water in Flint, Failing Schools in Detroit: How 1 Law Is Hurting Mich.
Gov. Rick Snyder is abusing the Emergency Financial Manager Act, to the state’s peril. Republican Michigan Gov. Rick Snyder is in hot and highly contaminated water. Residents in Flint, Mich., have been drinking, bathing in and cooking with contaminated water for over a year, and all signs indicate that Snyder has known about it since Spring of 2015. To make matters worse, on Wednesday morning, teachers in the Detroit Public School system staged a massive “sick-out,” shutting down over 88 schools. The city’s schools are crumbling, the buildings have rats and mold, there are classes that have 40 or more students in them, and the system is in a mountain of debt. How did these situations get so bad? How has no one been held accountable before now? It all goes back to the day democracy ended in the state of Michigan, when the Emergency Manager Act was passed in 2012. The Flint water crisis and the problems in Detroit public schools didn’t just start in the second week of January 2016. Republicans will blame local mayors (in this case Democrats), and Democrats will blame the governor (a Republican), but to be fair, many of these are long-term, systemic infrastructure and budgeting problems that go back many decades and are beyond the power of any single government entity. However, what can’t be disputed is Snyder’s desire to gut democracy and replace elected accountable officials with his political friends and cronies, which has brought these crises to the tipping point. All of this began in 2011 when Snyder first took office as a Tea Party darling vowing to shrink government and make Michigan more business friendly. He decided that the best way to do this was to zap an old law with gamma rays and turn it into a monster that he could smash public institutions with. The Emergency Financial Manager Act, as it is commonly referred to, was passed in 1990, ostensibly to rescue small Michigan cities and school systems from financial ruin. If a city owed creditors too much money, or failed to make payroll, or school systems were on the brink of going bankrupt after third period, it could trigger a state takeover of the municipality. If the governor’s board and the local government couldn’t come to an agreement to settle debts, the state would appoint a financial manager with the power to clean things up over the course of 18 months. This was meant to be a temporary fix, only used in emergencies when all other options failed. Snyder saw a chance to pounce. He first tried to pass a hulked-up version of the bill in 2012, but voters repealed it by referendum. So he employed some legislative gymnastics to pass the bill without public approval, with the backing of the Republican-controlled Michigan State House. The result? Under the new law the governor had broad powers to declare almost any municipal situation “a crisis” and consequently appoint an emergency financial manager to take over. These new managers had the power to remove elected officials, suspend pay, cut pensions, throw out union contracts (but not banking contracts, of course) and suspend local government as long as it was under the guise of “fiscal responsibility.” Since 2012, Snyder has become the Oprah of emergency-manager appointers, with Flint getting a financial manager and Detroit getting a financial manager and Highland Park getting a financial manager. Every time public school students look under their crumbling desks, they’re getting a brand-spanking-new financial manager to “clean up their schools.” Every time Flint residents turn on the tap and it looks like well water from Little House on the Prairie, they can thank their financial manager. Out of the 25 times that emergency financial managers have been appointed in Michigan since 1990, Rick Snyder has appointed 15 of them, in less than six years in office. How is he getting away with this?